My trip to Kenya started with apprehension. What would I be confronted with ? Would I be up to the challenge? On arrival into Jomo Kenyatta International Airport I knew it was going to be a pleasant experience. The people I met were friendly, welcoming and warm.Nursing is personal and caring, not the number crunching environment that has been pushed upon us here. The nurses knew their patient’s stories and provided as good a level of care as the system allowed. Kenya Health was able to contribute to this care. The first clinic was overwhelming with the number of patients and their ailments. I am still amazed as to how efficiently these needy patients were seen and treated with the help of local volunteers. But it wasn’t just this clinic. 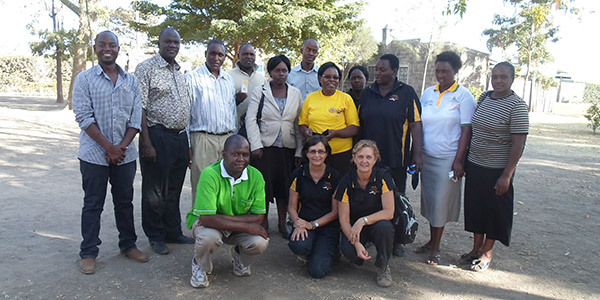 For the next two weeks Kenya Health collaborated with local Health Care Workers providing care, medication and identifying those requiring further referral. How satisfying! I came away feeling I was a little part of something positive.